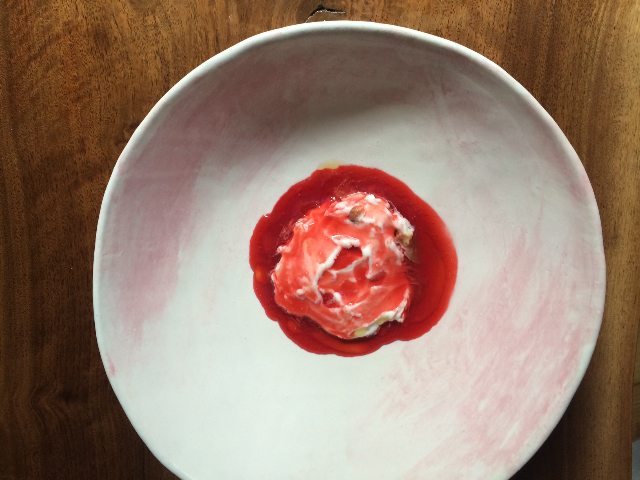 "Five more restaurant ceramists we love." Dig into 50 of the finest things happening in the Valley's food and drink scene right now. 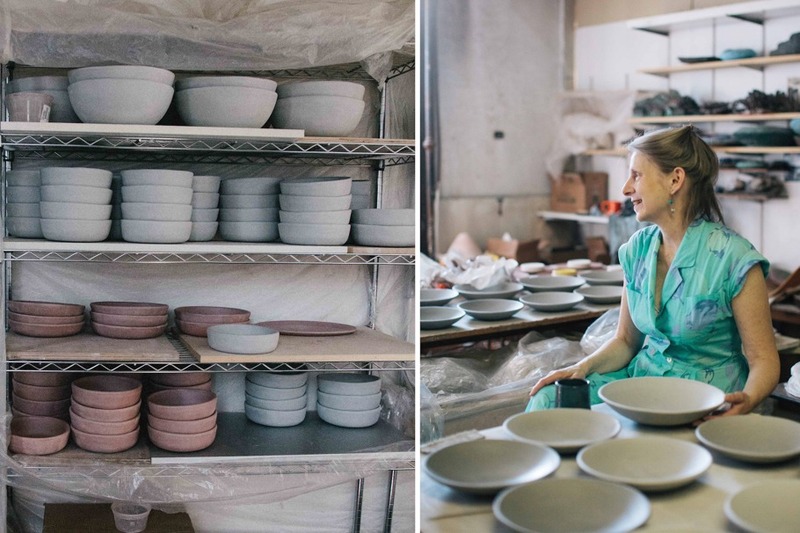 "Ceramicist Wynne Noble makes much of the understated dinnerware you see at Contra, Momofuku Ko, and Gramercy Tavern, among other restaurants. She’s been honing her craft for decades, rolling and pinching clay slabs..."
Handcrafted gifts in the heart of Brooklyn Heights celebrating 163 years of supporting independent artisans. Perfect Imperfection. A Day at Wynne Noble Ceramics. Valrhona is also home to leading pastry chefs perfecting excellence at 222 Water Street in Dumbo where they continue the tradition using Noble Plateware. 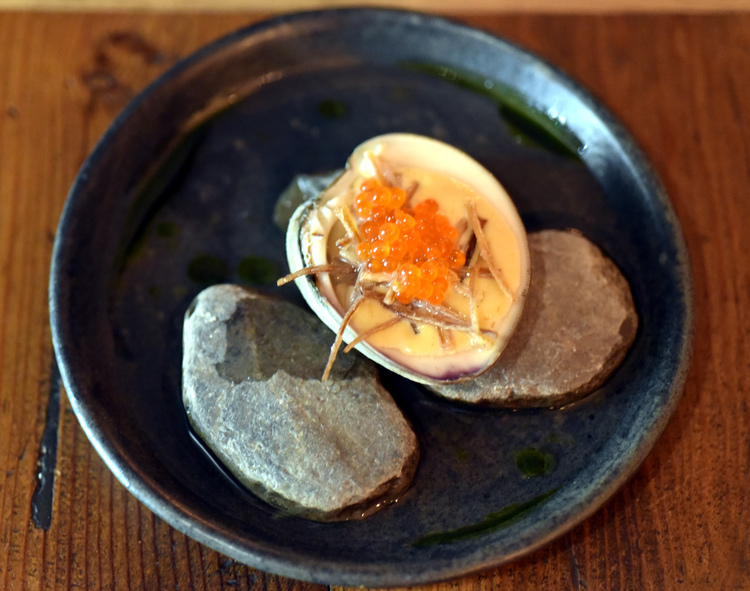 Located in the East Village, Oiji serves updated Korean cuisine, adjusting traditional recipes for the small-plates era, with a little French-style nuance. Host and sushi chef David Bouhadana visits the studio of Wynne Noble. Three distinct dining options and one incredible view. "One Mix offers handcrafted small plates and cocktails celebrating New York...inspired by the five boroughs, for an authentic taste of New York. From the chefs, wine connoisseurs and mixologists who call this city home." "...featuring the seasonal New American cooking of Chef, Partner and Baltimore native John Creger, best know for his work in Artisanal and Le Cirque. Boasting a novel concept of dining, this modern eatery owned by Ebru Brun in partnership with Creger, will serve a 10 course tasting menu ($65) during the week, and an affordablea la carte menu Friday through Saturday." "It can be tricky for craftspersons to scale their business; there just aren’t enough hours in the day. 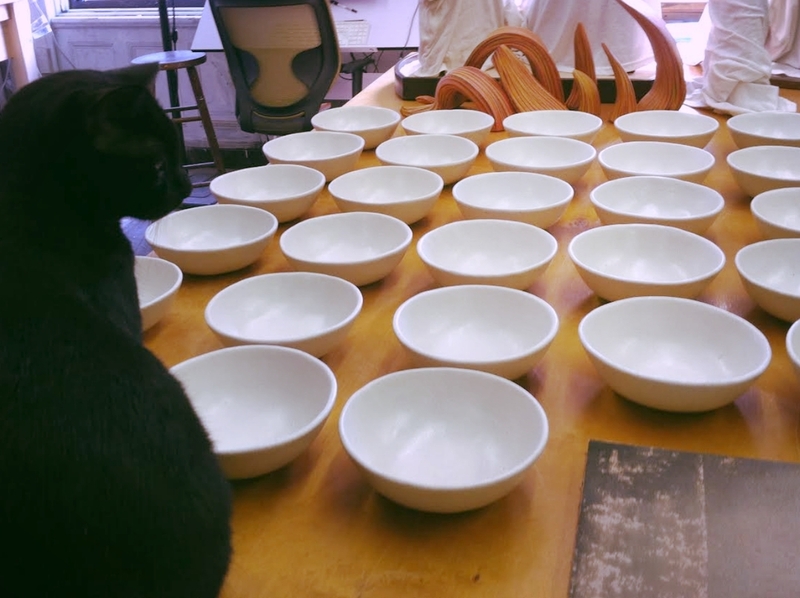 Local artist Wynne Noble seems to have cracked the New York restaurant code though..."
"We first spotted this Brooklyn-based potter's work at some of our favorite NYC restaurants (Contra, Momofuku Ko, Maiden Lane). Now we're smitten with her handmade stoneware designs, which range from plates and platters to pinch bowls ($12) and whimsical textured taco shells ($35)—which happen to be oven and dishwasher safe." 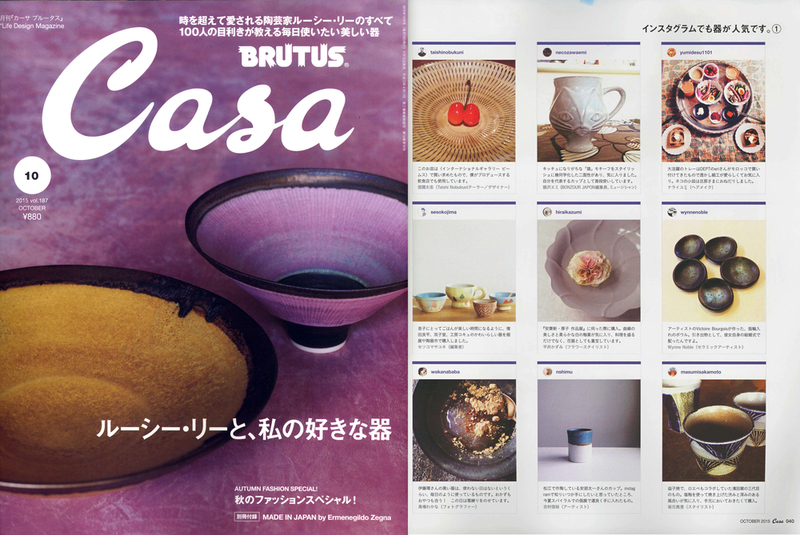 Japanese Design Magazine for Fashion, Architecture, Food and Art. Dessert details from The Lane's Botanical Styling Workshop. "Her relationship with chefs like von Hauske and Momofuku Ko's executive chef, Sean Gray, is highly collaborative—she creates custom dishes for every restaurant, working closely with the chefs to design pieces based on the shape, color, size and texture of their food." 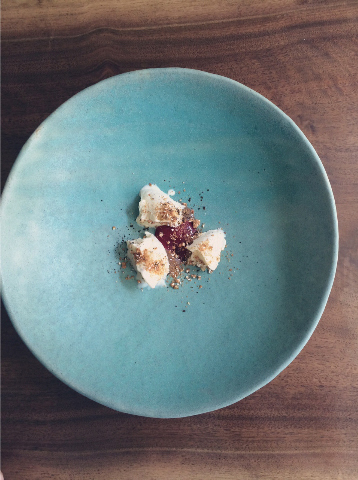 multi-course tasting menu, this David Chang exclusive sets the precedent for Asian influenced American cuisine. Known for contemporary cuisine consisting of simple yet meticulous dishes, this New York neo-bistro is known for its 5-course seasonal fixed price menu that pushes the boundaries of New American cuisine. A lower east side staple based on a simple concept: make the best pie money can buy using real ingredients. Petee's Pies uses seasonal local produce and natural fair-trade sweeteners as well as crust made with organic flour and grass-fed butter from New York State. Petra 'Petee' Paredez wanted to add to the handmade experience by adding Noble Plateware in 2014. Pie plates are currently available in store and by custom order. This chic boutique hotel offers stylish loft-like rooms with sweeping views over Bryant Park and 5th Ave. Priding itself on being different yet uncomplicated; the bar downstairs features premium cocktails and upscale tapas with farm fresh ingredients. Neighborhood Guides to Local Makers. "Each piece of pottery from Noble Plateware is uniquely made by hand with an eye towards form, function, and the warmth of sharing food with friends and family." 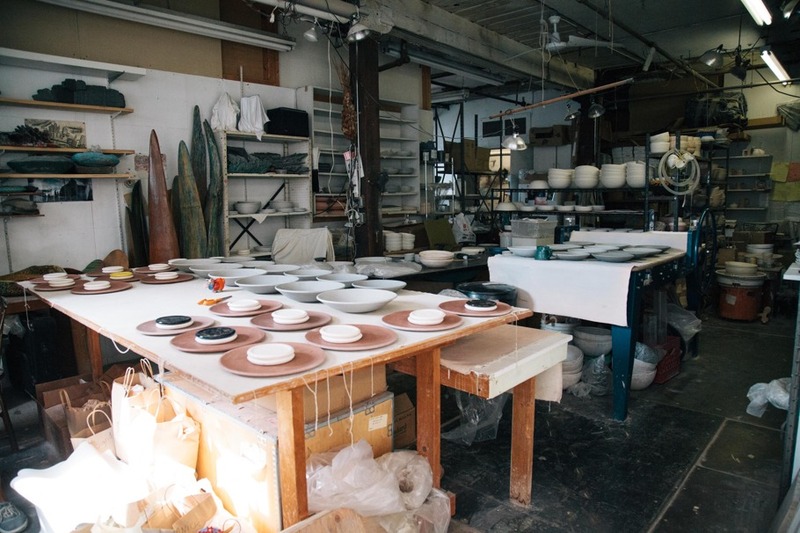 "Wynne Noble is a DUMBO-based potter, sculptor, and pottery teacher. Over the years she has created work that’s appeared in many galleries and high-end department stores. Most of her time is spent making highly customized productions and one-of-a-kind work (retail and wholesale) for restaurants, hotels and galleries. Wynne also teaches pottery to adults and children. Structure, form, color, love of the countryside, as well as a lifetime of living in Brooklyn, are the building blocks and inspiration of her creations. Click here to learn more about Wynne and her work."